The HARPER is a vintage inspired top with a modern flair. The yoked front and keyholed back make this top totally unique and perfect for warmer weather! Add a ruffle and decorative buttons for wardrobe versatility. This is the girl's version of the women's Adelaide top. 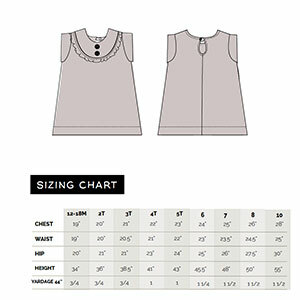 This pattern comes with sizes 18 months through 10 years.